Every year I try to plant sunflowers. For some reason I can't get them to grow. I highly suspect squirrels are digging the seeds up and are eating them. This year I even put little mesh cages around the seeds. Very late in the season, I got one very small sunflower. Note the pug saw placement for sizing. 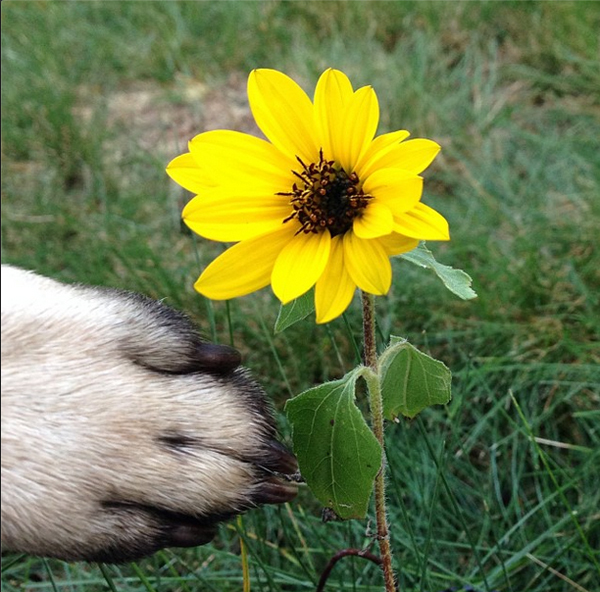 very sweet picture with the dog paw for size comparison... awww!